In 1648 Brandenburg was a small state in northern Germany. It had been ruled by the Hohenzollern Dynasty since the late fifteenth century and consisted of the core region and its capital, Berlin; eastern Pomerania; an area around Magdeburg; the former holdings of the Knights of the Teutonic Order in eastern Prussia; and some smaller holdings in western Germany. 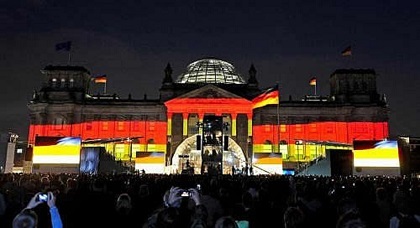 Brandenburg became known as Prussia in 1701 when its ruler crowned himself King Frederick I of Prussia. Prussia acquired the rest of Pomerania after defeating Sweden in the Great Northern War (1700-21). Prussia’s increase in size and influence may be attributed to a succession of capable leaders, all of whom enjoyed long reigns. The first was Frederick William (r. 1640-88), known as the Great Elector. He increased his family’s power by granting favors to the nobility, weakening the independence of the towns, and maintaining a professional standing army. His son Frederick I (r. 1688-1713) established Prussia as a kingdom. Frederick further strengthened the army, but not nearly as much as his son Frederick William I (r. 1713-40), who also modernized the kingdom’s bureaucracy. 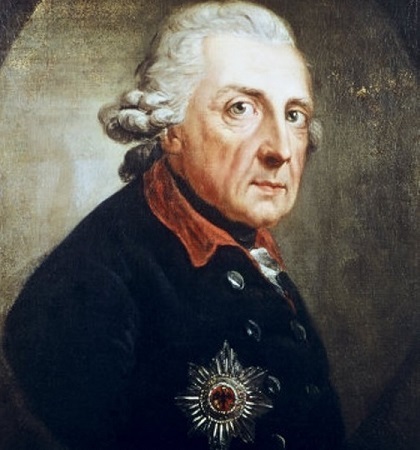 Frederick II (r. 1740-86), known to posterity as Frederick the Great, continued along the same lines as his father but showed much greater imagination and ruthlessness, transforming his small kingdom into one of the great powers of Europe. In 1740 Frederick seized Silesia, a wealthy province that belonged to the Habsburgs and had a population of about 1 million inhabitants. Maria Theresa (r. 1740-80), the new Habsburg empress, was unable to regain possession of Silesia, which remained under Prussian control at the end of the War of the Austrian Succession (1740-48). Frederick retained Silesia even after facing a coalition of France, Austria, and Russia during the Seven Years’ War (1756-63). Frederick expanded Prussian territory still further in 1772, when, with his erstwhile enemies Russia and Austria, he took part in the First Partition of Poland. This last seizure was highly beneficial to Frederick because it linked eastern Prussia with much of his kingdom’s western holdings.